Spartan Games are looking to expand the Firestorm Galaxy, and have launched a Kickstarter project to that end. 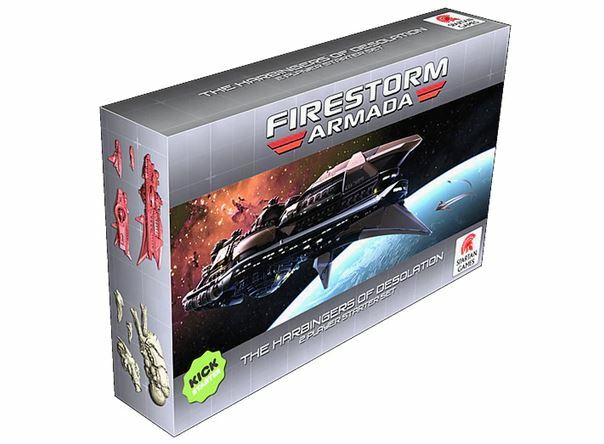 Firestorm Armada was originally launched back in 2009, and has evolved since then, adding more ships and moving through a couple of rules versions. The Kickstarter project has a funding target of £50,000 (it’s at just under 80% funded at time of writing) and is running until 10th September 2017, with a proposed delivery date of February 2018. We are hoping to catch up with Neil Fawcett from Spartan Games later this week to find out the background to this new project. Look out for the interview to be published before the end of August.